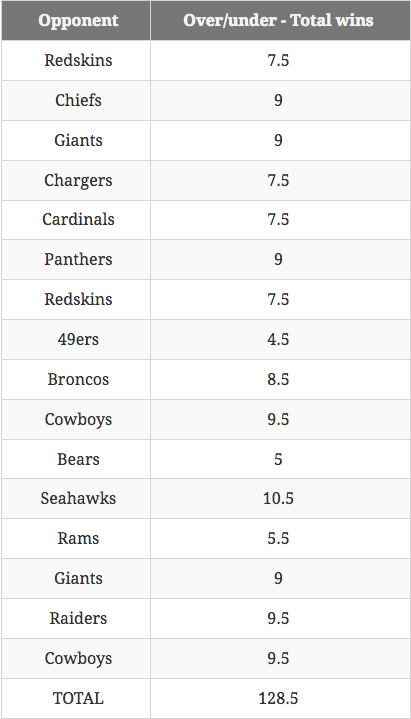 According to ESPN’s Football Outsiders, the Philadelphia Eagles have the most difficult strength of schedule in the NFL. Their reasoning is largely based on the premise that the NFC East is the toughest division in the league. Last year, all four NFC East teams finished in the DVOA top 10, and this again looks like the strongest division in the NFL. Our projections are a little lower for Washington and Philadelphia in 2017, but the entire division still comes out as above-average in mean projected DVOA. The problem isn’t just these teams beating up on each other for six games — the NFC East also draws the two West divisions, which means facing many of the league’s top defenses. Right now in the NFC East, it isn’t good enough to be good. You need to be great. With an easier schedule, an NFC South or West team doesn’t have to play as well as an NFC East team to make the postseason as a wild card. The NFC East had two teams (the Cowboys and Giants) make the playoffs last year for the first time since 2009. That was by far the longest wild-card drought for any division in the league prior to the 2016 season. And then in the playoffs, the Packers took care of both of them, blowing out the Giants in the wild-card round, and then making the Cowboys go one-and-done in the divisional round. The NFC East is not even close to some sort of juggernaut division. On paper, the Eagles’ opponents in 2017 had a combined winning percentage of 0.531 in 2016. Using that standard, they have the 10th hardest schedule in the NFL. Using Vegas’ win/loss over-unders, which tend to lean toward a higher number for some teams, the Eagles’ opponents are projected to have a record of 128.5–127.5. The Eagles start the season with two road games, but end it with two home games. You’d rather have the home games to close the season than to open it. A Week 10 bye is a big advantage. A season ago, the Eagles’ Week 4 bye served as more of a detriment than an advantage. 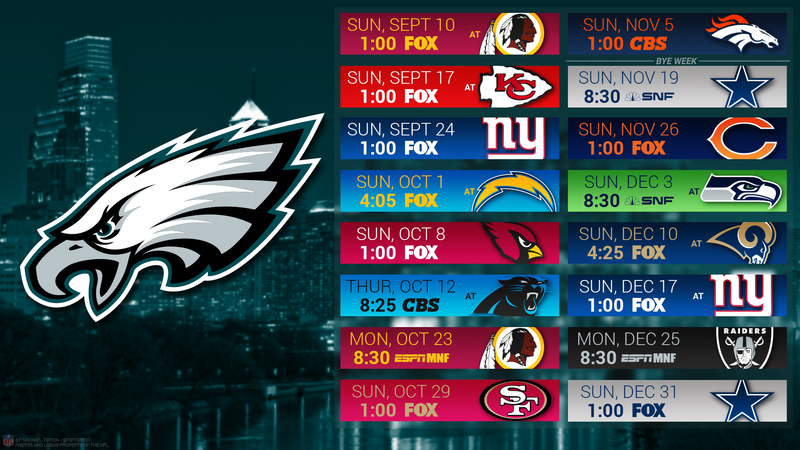 Oh, and that bye week comes before the Eagles’ away game at Dallas. Last year the Eagles faced three teams coming off their bye week. This year they won’t face any. They will have 11 days to prepare for their second matchup against the Redskins Week 7, which also happens to be a home game. That could be a nice boost against a team that has owned them in recent years. They have three straight home games Weeks 7 through 9. In fact, there is a gap of 38 days in between their Week 6 road game in Carolina and their Week 11 road game in Dallas. The Eagles have a perfectly reasonable and manageable schedule in 2017. If they don’t make the playoffs this season, it is because they weren’t good enough, not because they had the deck stacked against them.